Want to monitor the comings and goings at your house? You can blanket the place in cameras, but this is expensive and raises numerous privacy concerns. Or you can outfit the doors with sensors, but that only tells you when the door was opened, not whether anyone is inside. 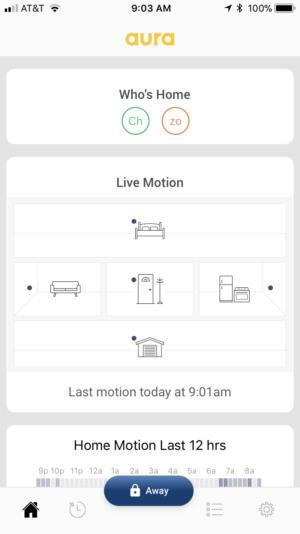 Aura thinks it has a better solution: Its Aura project comprises a network of sensors that communicate with an app to tell you when activity is taking place inside the house. My experience with it was not a good one. 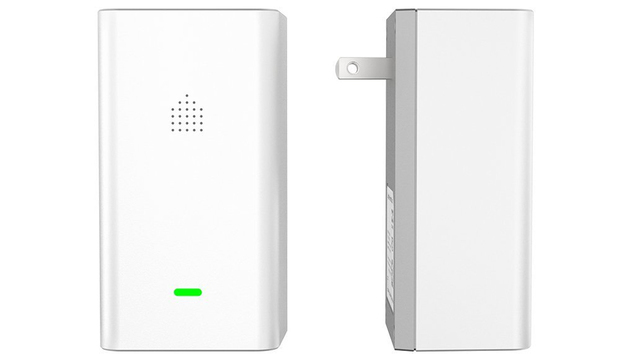 The Aura system created significant problems with my standard Wi-Fi network, and many of the other smart home devices in my house, likely due to the interference created by Aura’s own wireless network. In the week of testing the system, I encountered significant problems with slow data transfers and devices (like my Ring doorbell) no longer working at all. Once the system was removed, everything was back to normal. There’s no telling how common a problem this is. Aura does not rely on a standalone hub in the traditional sense (though it can connect to Alexa, Google Assistant, and Philips Hue devices). Instead, you purchase a $199 starter kit with two radio beacons. If you need to cover more than 700 square feet, you’ll need to purchase up to three additional beacons at $99 each and install these throughout the home (coverage maxes out at around 2500 square feet). One beacon works like a hub, coordinating with your Wi-Fi network, though it otherwise looks and works the same as the other beacons you scatter around your house. The Aura hardware isn’t exactly unobtrusive. Aura gives you an intense amount of instruction regarding where and how to place beacons: They shouldn’t be directly above or below one another, they should face different directions, they shouldn’t be more than 60 feet apart. That said, you ultimately need to install them within or close to the rooms you want to monitor (although Aura says its technology allows it to “see through walls”). More on that later. The chunky beacons aren’t typical motion sensors. Rather, they work by using “wireless signals.” What does that mean? Says Aura, “Wireless signals, like Wi-Fi from your router, move throughout your home creating a pattern. When people or pets move through the space the pattern is disrupted and Aura then classifies the movement as people, pets, or mechanical (like a fan).” The system supports up to five beacons, and they connect together to form a mesh. The Live Motion view rarely worked as advertised. It’s important to note that this is the company’s second version of Aura. The original Aura relied on a larger, centralized beacon that was supposed to cover your whole house and was billed with security in mind, even incorporating a siren into the hub. It wasn’t well-received, with complaints about poor coverage the biggest gripe. The new Aura, coming less than a year later, is a revamping of this idea, now with a distinctly different focus on home monitoring instead of security. In other words, Aura is now designed for parents wondering if their kids came home from school, or for a caregiver ensuring an elderly person is still mobile. There’s no siren, and the word “security” has been fully scrubbed from the Aura website. After using the system for more than a week, I understand why. I set up a full complement of five Aura beacons in my house, a process that was relatively pain-free aside from the app freezing once during setup. 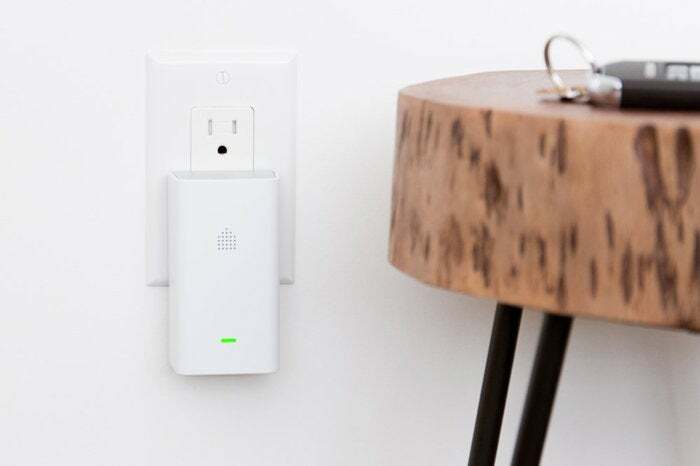 Plug in a beacon, connect to it via Wi-Fi, and transfer it over to your home wireless network. Once you tell the app what room and what floor of your house the beacon is in, you’re done. From here, Aura gets to work informing the app whenever it detects motion. You can choose from five different “Scenes,” each of which offers a different level of monitoring. A Night mode lets you turn off certain beacons, for example. Guardian mode is designed for vacation homes and “keeping an eye on loved ones.” A Pet mode is currently in beta. Aura’s week at a glance gives you a 30,000-foot view of motion in the home, but you can’t drill down into specifics. Graphs and charts showing when motion occurred populate with an excruciating amount of lag, making it difficult to take seriously its claims of providing “live” data. 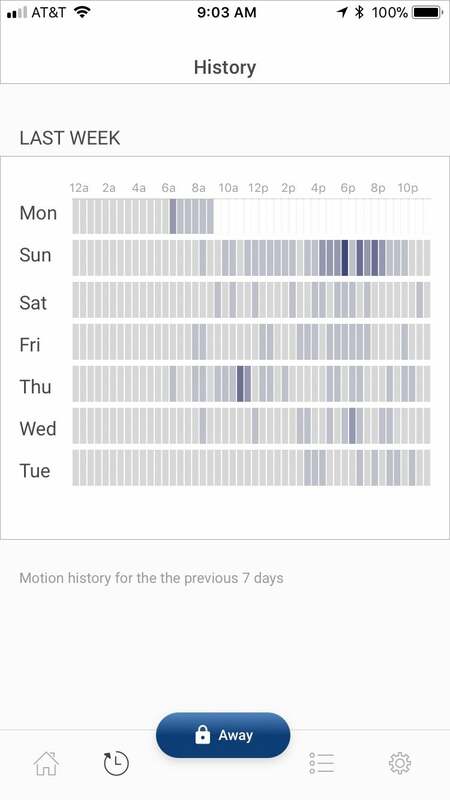 The app does keep a handy list of various comings and goings over the last few hours, but the week-long view of activity is too basic to be useful (since you can’t drill down into specific rooms or get more granular than an hourly view), and the system’s promised push notifications were erratic at best. On the whole, it works well enough if you want a holistic look at activity in your house over the course of a week or so, but if you really want to drill down to find out who’s coming and going, and when, Aura just doesn’t do enough. Another feature with Aura is the ability to register various users to the system by having them all install the app on their phone. If you do this, Aura can track when someone arrives and leaves, down to the minute. This extends the device’s functionality, because it can’t tell an intruder from your teenage daughter otherwise, though of course it relies on the user not forgetting their smartphone when they go out. The Aura did miss a few arrivals and departures in my testing, but it was still a big improvement over its otherwise anonymous motion data—and it was much more accurate than using the sensors on their own. The Aura hardware merits a brief discussion, too, as the beacons are quite large and aren’t the most eye-catching of smart home devices. The green LED on the front of each beacon is also extremely bright, to the point where I had to move one out of a bedroom because it was too distracting at night. Also, having five of these devices in my house meant eating up five electrical outlets, which could be a problem in some plug-challenged homes. At some point, I had to wonder why Aura thought that reinventing the wheel was warranted here. Standard motion sensors are inexpensive and unobtrusive, and they’re mature enough to work quite well. Any number of home security systems—smart or not—can make use of them to let you know whether there’s motion in a room. Sure, Aura’s concept of being able to blanket your entire house with a handful of beacons, whether there are walls in the way or not, is a noble one, but to get consumers on board with that idea, the system will have to be engineered to work a whole lot better than it does today.